OPI recently announced its seventh annual Pink of Hearts promotion, a limited edition duo featuring the gorgeous classic OPI shade Pink-ing of You, and the new glitter, More than a Glimmer. The duo also comes with a set of pink ribbon and crystal decals! It took me a while to find my original Pink-ing of You (on the right, above), never realizing that it was so many shades lighter than the new Pink-ing of You. Needless to say, though they are labeled the same, they are not the same polish colour. This is the kind of pink that is gorgeous on anyone, reminding me of fluffy cotton candy. Yummy! Think that was the only surprise I received? … and it dried MATTE! I am in love with this candy confection-looking duo! What do you think of the Pink of Hearts duo? Pink of Hearts 2013 will be available September and October 2013 at professional salons and spas. For more information, please call 800-341-9999 or visit www.opi.com. Follow OPI on Twitter @OPI_PRODUCTS and become a Facebook fan! A soooper cute mani. Lucky you! Forgot to say I actually like the Matte more than glossy. How do you get these so early? Maybe pinking came out before I even knew I was a polish addict because this is the first time hearing about that one. Surprised at the difference between the two though, it would’ve been nice if it was a little closer to the original but it still looks nice. Oooh, I WANT! 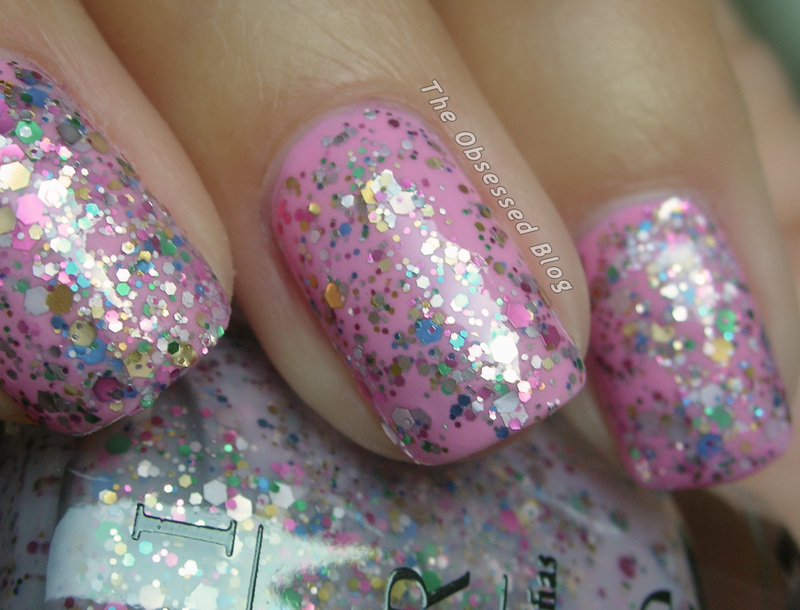 Love the choice of colors within their glitter polish, so fun! I’m a fan of shiny polish, the matte looks weird to me. nice swatches, as always. your application is perfect! 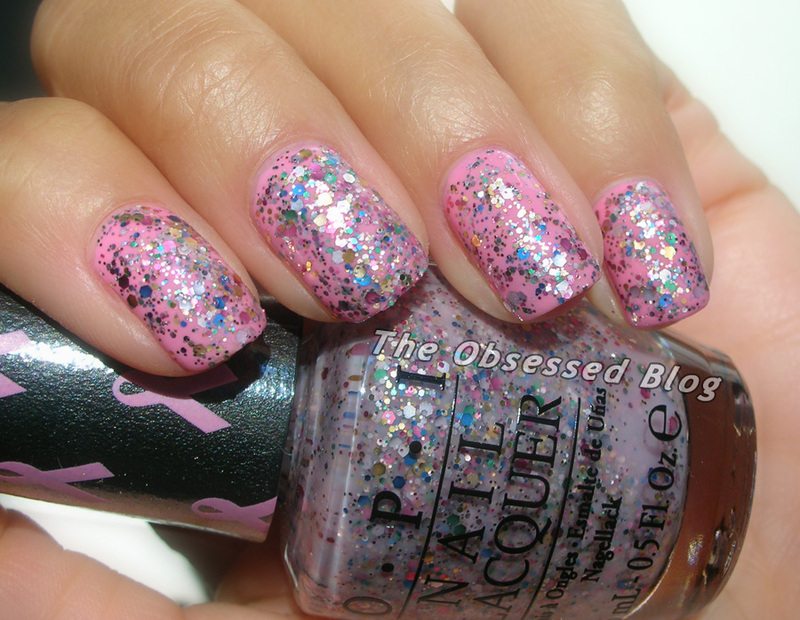 I still find it weird that OPI is doing glitter.